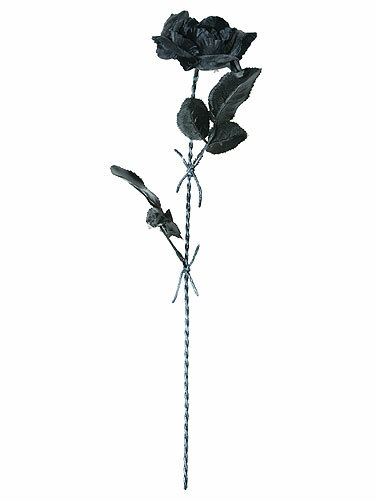 This Black Rose with Barbed Wire Stem will add a Gothic touch to your floral decorating. Perfect for Halloween arrangements and for laying near tombstones. Includes 1 black fabric, open rose with plastic barbed wire stem. Black Rose with Barbed Wire Stem measures 16"L.